For my readers who have requested gluten-free recipes, I consider it my duty to muffinize™ the crumbly, dry baked goods they are generally stuck with. 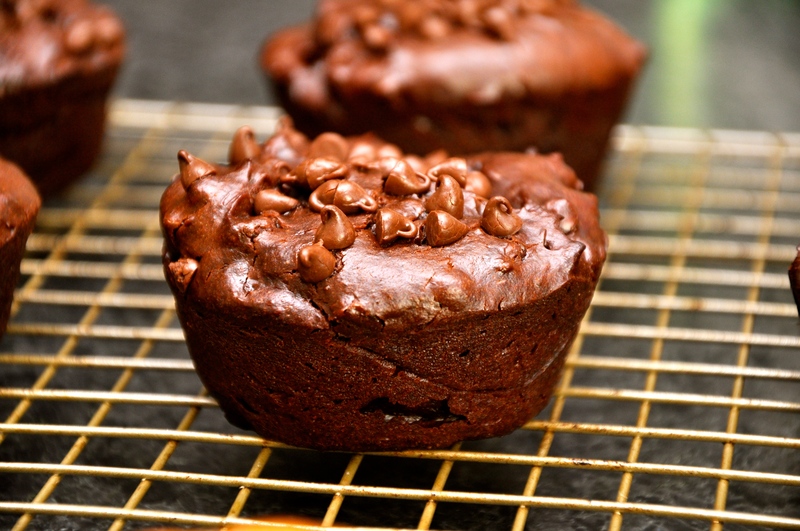 Moist, rich, and decadent, these muffins satisfy the chocolate-peanut butter craving. 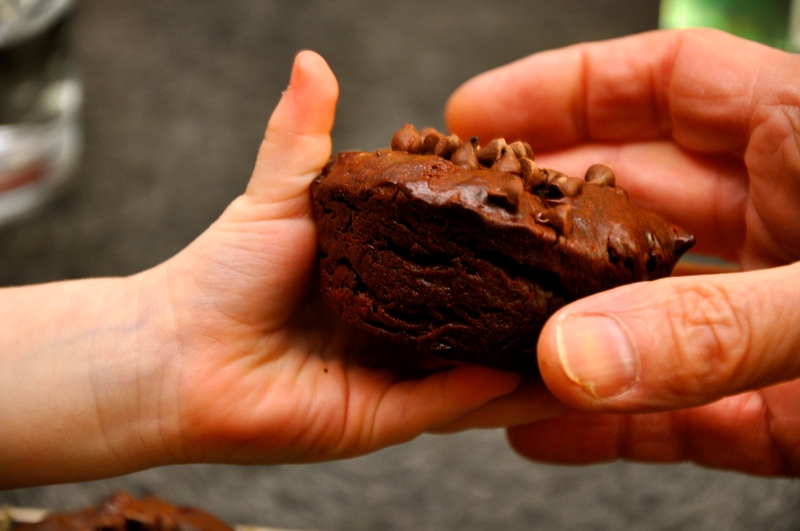 The recipe is dairy-free, oil-free, and contains no refined sugar. So how could the muffins be good? Believe. With the help of a blender, the batter is transformed in minutes. 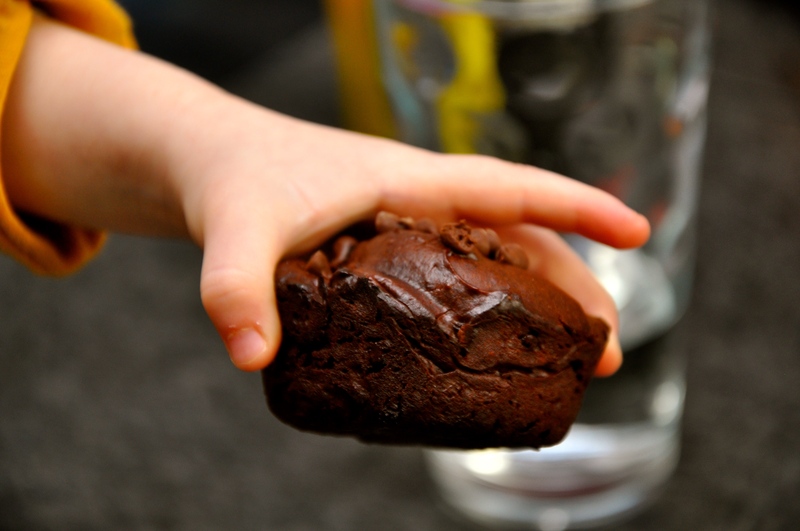 No gluten means no risk of over-mixing the batter, which could create tough muffins. Thanks to the banana and honey, the taste is sweet but not too sweet, the texture fudgy but still cakey and springy like muffins. The peanut butter is there, but does not overwhelm. The chocolate flavor is enhanced by the ever-presence of mini chips. 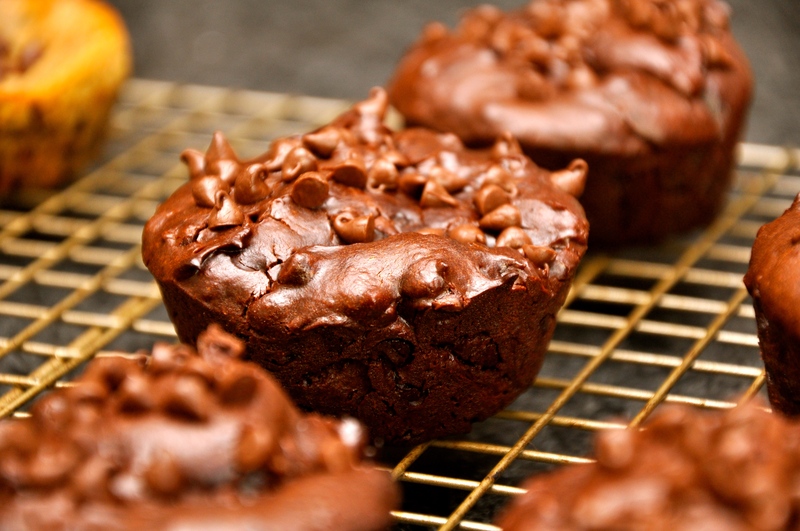 These muffins are a wonderful way to justify having chocolate for breakfast. 1. Preheat oven to 400 F. Spray muffin pan with cooking spray. 2. To the canister of a blender, add banana, egg, peanut butter, cocoa powder, honey, vanilla extract, baking soda, and salt. Blend on high speed until smooth and creamy, about 1 minute. 3. Transfer batter to a mixing bowl. 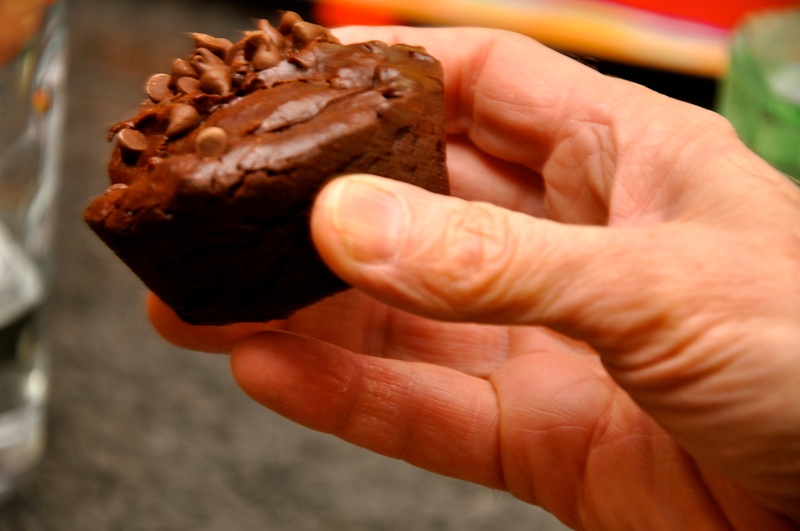 Fold in heaping 1/2 cup chocolate chips and stir. 5. 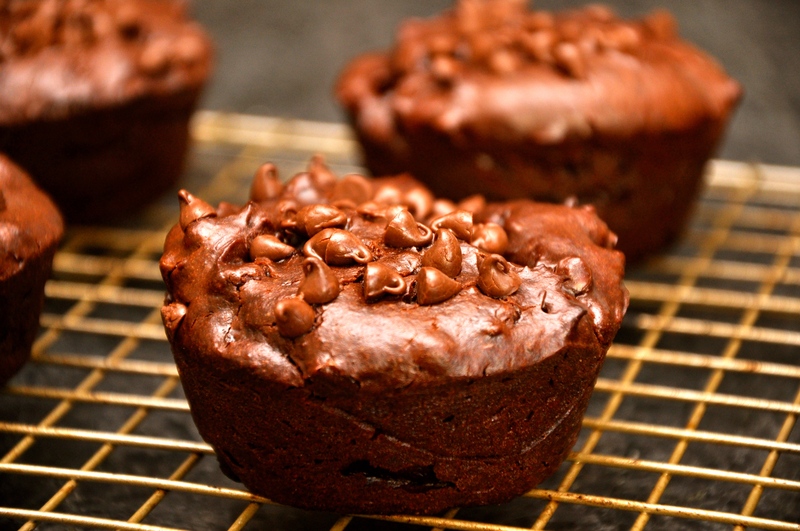 Sprinkle each muffin with a generous pinch of chocolate chips.